Testing Revolt In Washington State Brings Feds Into Uncharted Waters : NPR Ed As Congress debates the future of No Child Left Behind, one state falls short of federal testing requirements. 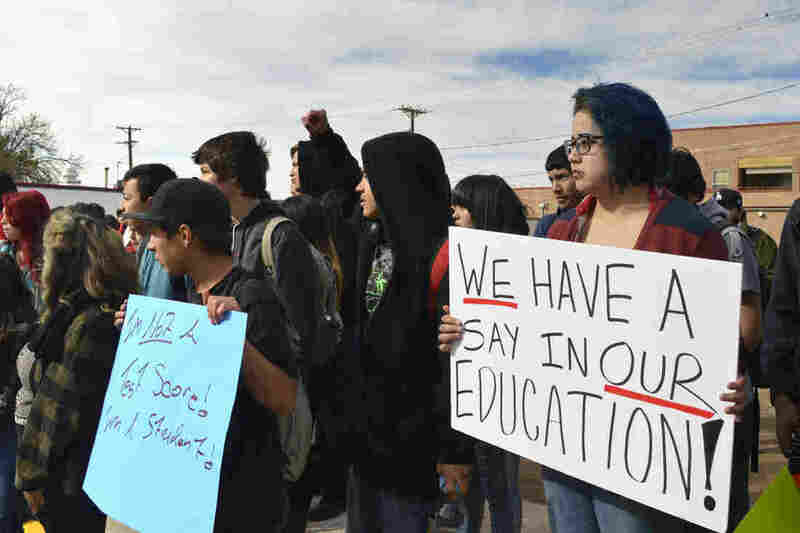 New Mexico: Dolores Ramos (right), 16, joins dozens of Highland High School students in Albuquerque, N.M., during a walkout to protest a new standardized test. Seattle 11th-grader Elijah Falk added it all up and decided: It made no sense to take the tests. The Common Core-aligned Smarter Balanced exams, Elijah was told, were grueling — but Washington state didn't require this year's juniors to pass them to graduate from high school. In fact, the only thing compelling Elijah to take the tests this past spring was No Child Left Behind, the federal law. And, by federal standards, Elijah's school was all but certain to be labeled "failing" whether he passed the tests or not. "If there's something you might risk failing but, regardless, you'll learn something or you'll be stronger because of it ... that's great," Elijah said in April as he organized a boycott of the tests at his school. "But if there's not a real benefit to passing or failing, then it's not worth it." When testing day finally arrived in high schools across Washington, Elijah was one of more than 42,000 11th-graders — roughly half of the state's junior class — who did not show up for their exams. At least 22,000 of them formally refused to test. Many of the rest were AWOL. 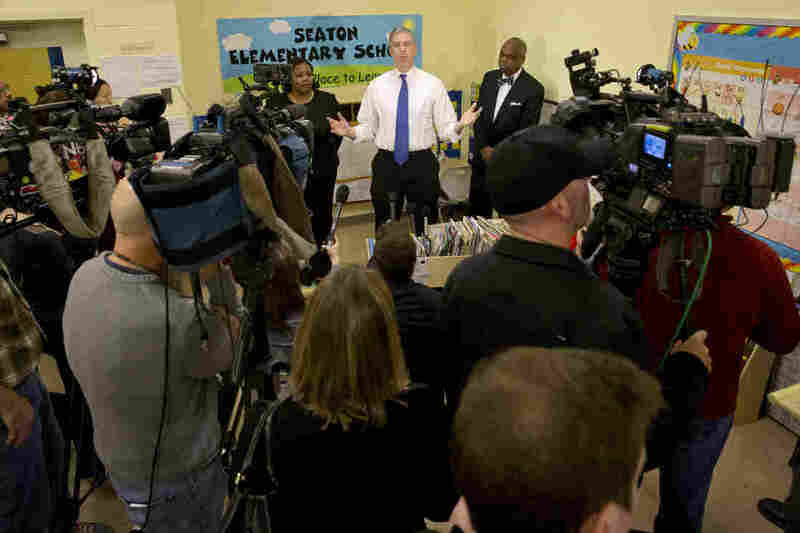 Washington, D.C.: Education Secretary Arne Duncan answers questions after speaking about the administration's priorities for education at Seaton Elementary in Washington. Duncan said that testing U.S. schoolchildren annually in math and reading is critical for measuring their educational progress. Whether it's simply a response to a quirk in the state's graduation requirements or the broader political environment, the dramatic flare-up of anti-testing sentiment has education leaders in the Evergreen State nervous about the possible consequences. On top of the mandate that schools and districts test their students, No Child Left Behind (NCLB) requires states to ensure 95 percent of students take the tests. In Washington, so many juniors skipped that the state's overall K-12 testing rate dipped below that threshold, to around 90 percent. This is likely the first time a state has fallen short, making it hard to know how the feds will respond. But state officials fear the U.S. Department of Education will penalize Washington, perhaps even cutting some of the $1 billion in federal education funding the state receives annually. And all of this is happening as lawmakers in Congress debate a reauthorization of NCLB. The versions passed by the House and now being finalized in the Senate would remove the law's top-down accountability formula, granting more flexibility to states, but lawmakers want to keep the old testing mandate. 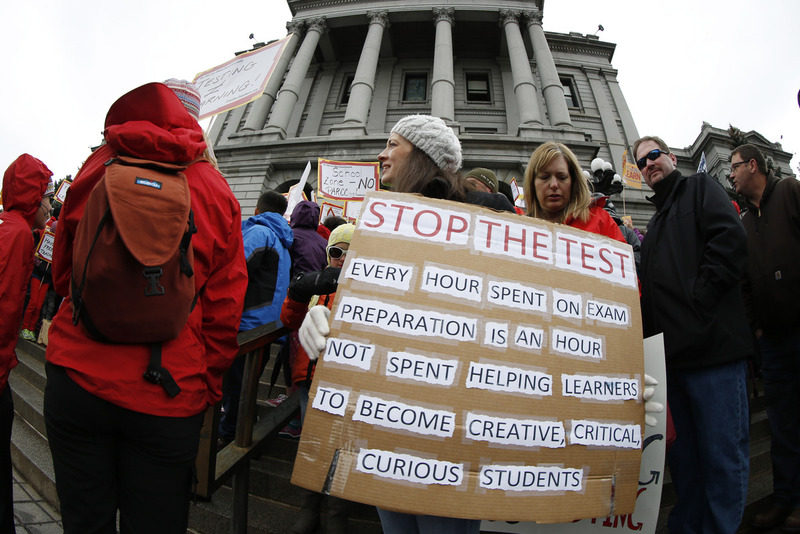 Colorado: Teacher Jen Shafer of Colorado Springs, Colo., waves a placard during a rally against what protesters called "excessive" standardized testing in Colorado schools on the west steps of the Capitol in Denver. Whatever course Washington chooses, other states will likely be watching. In New York, for instance, anti-testing activists estimate that parents opted at least 193,000 students out of that state's English exams this spring. Districts from New Jersey to Illinois also saw significant numbers of test refusals. Oregon's governor signed a new law making it easier for parents to opt their children out of state exams. 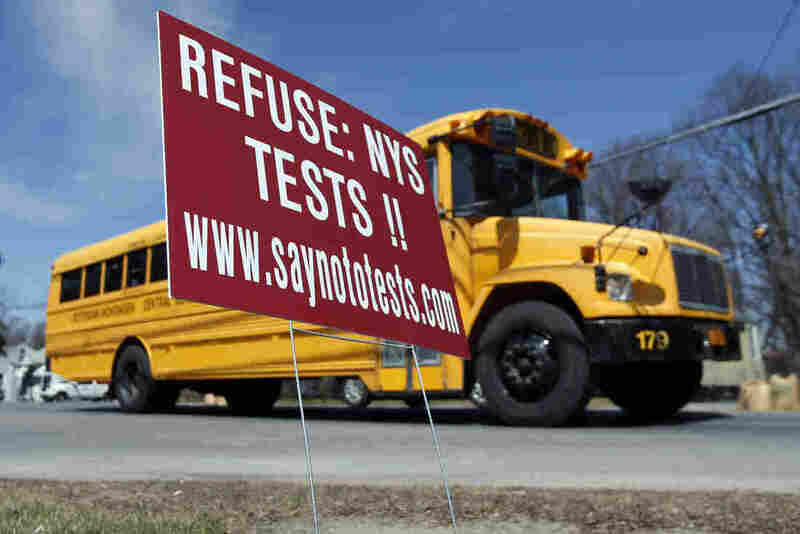 New York: A school bus passes a sign encouraging parents to refuse to let their children take state tests in Rotterdam, N.Y.
All of this action has prompted the U.S. Department of Education to take a tough public stance on the issue. The Oregonian newspaper reported that a federal official warned state lawmakers against passing that opt-out bill, saying it increased "the likelihood that Oregon will not meet its obligations under the law and incur enforcement action." And in April, U.S. Secretary of Education Arne Duncan told a gathering of education reporters that the feds have "an obligation to step in" when states play fast and loose with the 95 percent participation rule. Critics of standardized testing have said these are empty threats, uttered to discourage parents from civil disobedience. Still others say there are pragmatic benefits to the federal government adopting a softer stance. Pennsylvania: Feltonville School of Arts and Sciences teachers, parents and students pose for a portrait in Philadelphia. Nearly 20 percent of students at a Philadelphia middle school won't be taking the state's annual standardized tests after teachers informed parents of the right to opt out of the assessments. "If these parents are protesting a policy that they feel like they have no control over, set by faraway people on the other coast, coming down like a ton of bricks might not be the best response," said Mike Petrilli, president of the Fordham Institute, a right-leaning education think tank. "I think saying, 'Look, you get a freebie on this one, and we expect everyone to take these tests next year,' is, I think, the best way to go." But officials in Washington state's education agency say they can't assume the federal government is bluffing. They see potential federal action not as a "threat," said deputy state superintendent Gil Mendoza, but "as a matter of fact, and a matter of federal law." Georgia: A Fulton County sheriff's deputy handcuffs former Atlanta Public Schools school research team director Sharon Davis Williams after a jury found her guilty in the Atlanta Public Schools test-cheating trial. Mendoza says the state has an obligation to prepare districts for the possible financial consequences of opting out. He also warns that the federal government could rescind some flexibility under NCLB's current school improvement procedures — flexibility schools may have been counting on as Washington state transitions to the new, tougher Smarter Balanced exams this year. 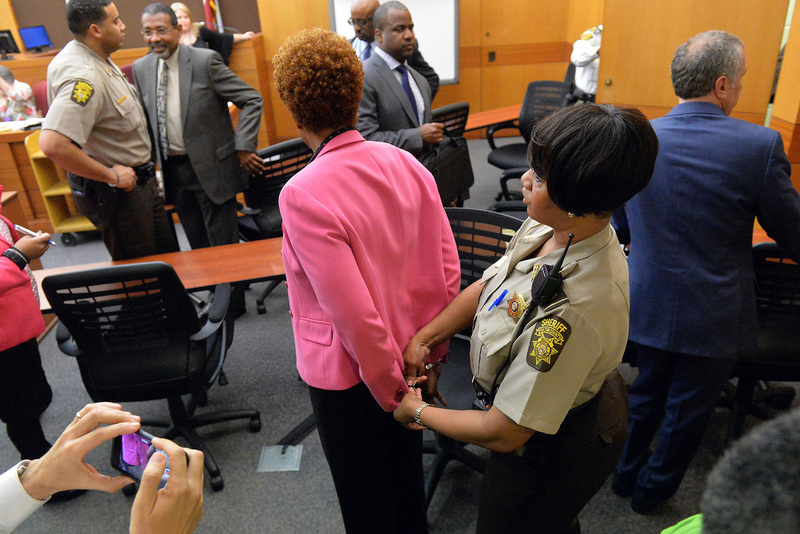 Tests are a linchpin in NCLB's scheme for holding schools accountable for student performance. The participation rule itself was baked into the original law to ensure school districts didn't game their test scores by encouraging struggling students to sit out the exams, Petrilli said. 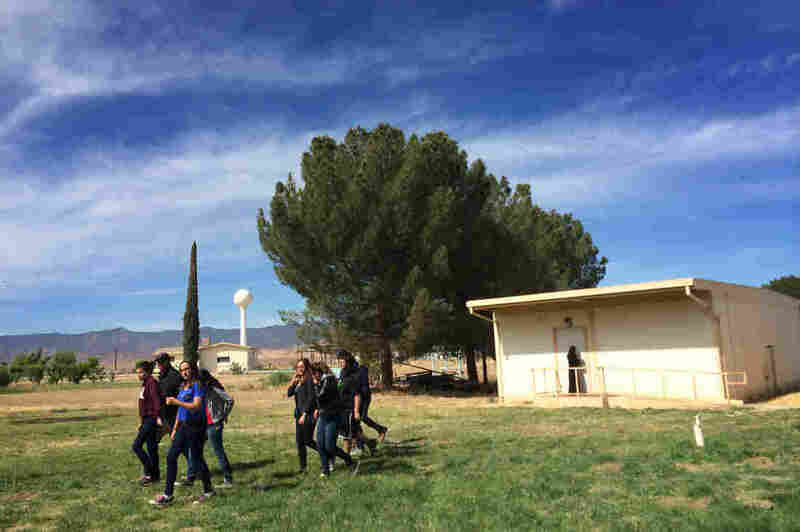 California: Students leave class after taking part in new Common Core-aligned standardized tests at Cuyama Valley High School. While the Common Core education standards provoked political backlash and testing boycotts around the country this year, California, the state that educates more public school children than any other, was conspicuously absent from the debate. And, ironically, as the NCLB reauthorization push moves through Congress, one of the strongest voices for keeping that linchpin in place has come from Washington state — from U.S. Sen. Patty Murray. While she has called for reducing "redundant and unnecessary" testing, she also has called for continuing to require states to test every student every year. "If we don't have ways to measure students' progress, and if we don't hold states accountable, the victims will invariably be the kids from poor neighborhoods, children of color and students with disabilities," Murray said in a speech on the Senate floor in January. 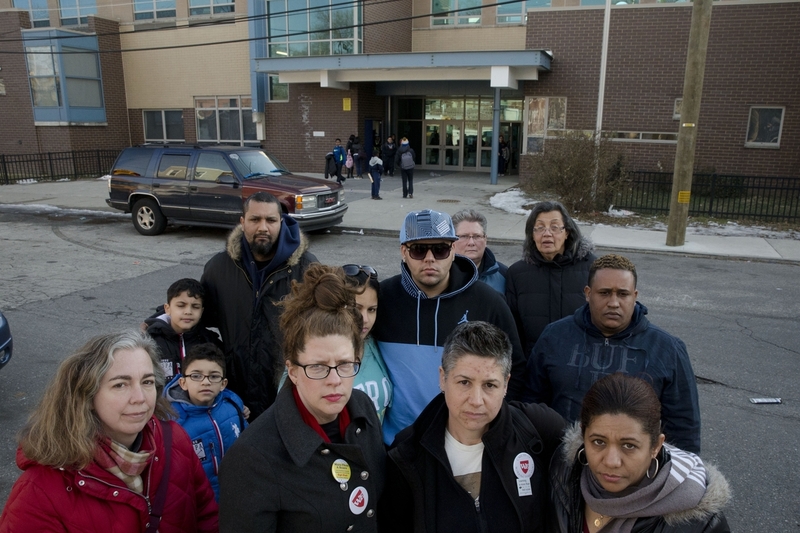 "These are the students who, too often, fall through the cracks."